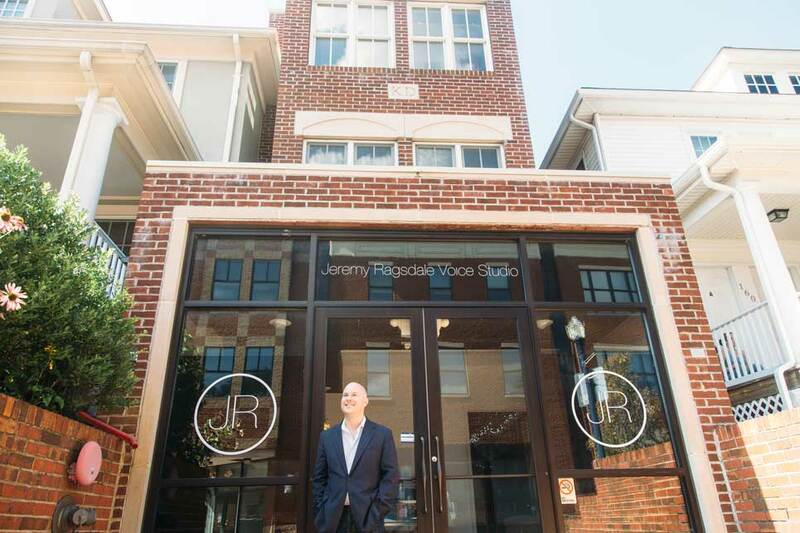 Early one fall morning in 1999, Jane Daugherty, the choir director at Broadneck High School in Arnold, Maryland, appeared at Jeremy Ragsdale’s front door with exciting news. 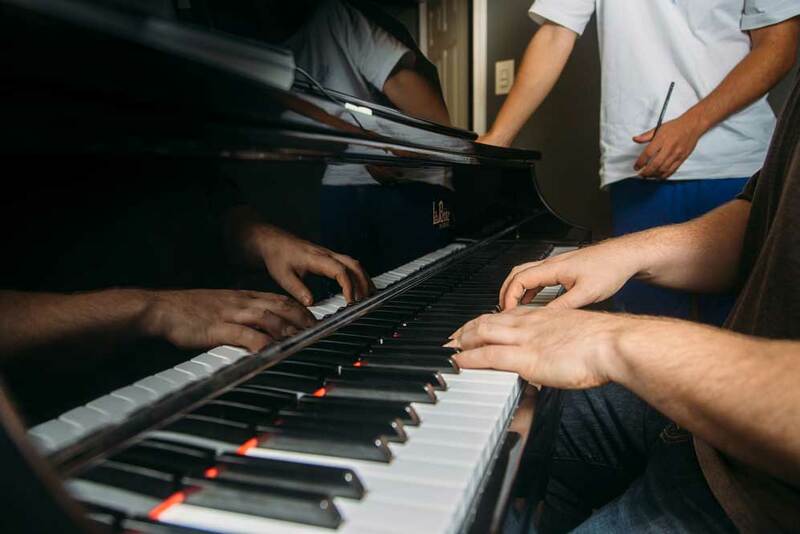 Ragsdale had been accepted into the GRAMMY Foundation Jazz Choir, and Daugherty wanted the high school senior to hear the news directly from her. Admission into the ensemble was a high honor—only 12 students from across the country were accepted. They would perform for the GRAMMY nominees and attend the awards ceremony. It was a defining moment for Ragsdale, and Daugherty’s actions, more than the news itself, would have a great impact on him. 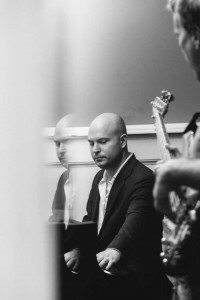 Ragsdale, now in his early thirties, is an accomplished pianist and singer with an impressive resume: backup singer and vocal arranger with GRAMMY-nominated pop singer Patti Austin for her Ella Fitzgerald tribute tour; member of a jazz vocal quartet that was big in Japan and performed for crowds of thirty thousand; jazz vocal director at Towson University; collaborator with jazz notables such as Kevin Mahogany and Esperanza Spalding; and faculty member at the prestigious Berklee College of Music in Boston. Growing up, he was steeped in music. His father, a Berklee-trained trombonist and jazz musician, served as the US Navy Band’s head music writer and arranger. Every year, his family attended the Navy’s holiday concert at DAR Constitution Hall in Washington, DC, a stirring gala that reflected the depth and breadth of his father’s talent and work. When he was a teenager, he began paying attention to pop music on the radio and wondered, “Why can’t I play this?” His father taught him applied music theory, helping him learn how to play songs by ear—without reading sheet music—so he could intuit a song’s structure and add touches of his own personal style. “Sometimes you just have to get off the page and start listening and trusting,” he says. During his high school junior year, Ragsdale was elected into the All-Eastern Honors Mixed Chorus and performed at Carnegie Hall. Moved by the group experience and the effectiveness of the conductor in bringing the group to a higher level of musicianship, he understood that music would be his life’s work and thought about working in a directing role in the future. 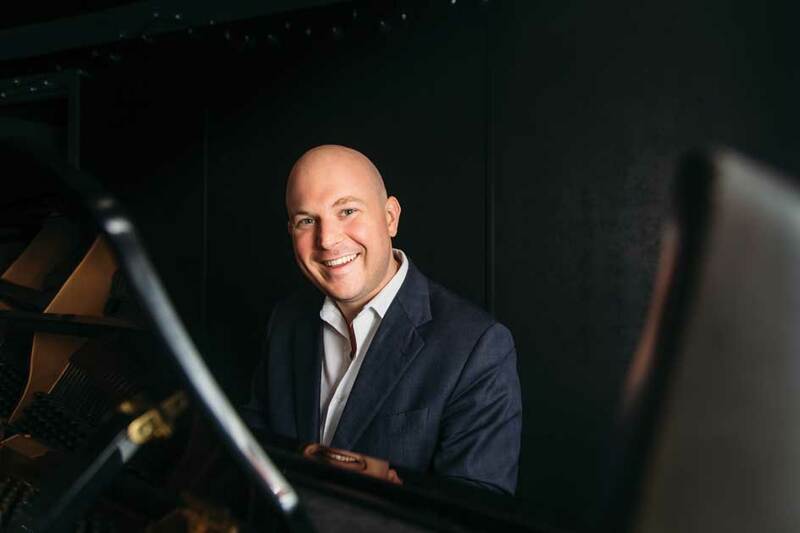 After attending New England Conservatory of Music for one semester, he dove headlong into contemporary music, enrolling at Berklee as a vocal performance major. He thrived there, taking full advantage of its networking and performance opportunities. He then returned home to ponder his future. Back in Annapolis, Ragsdale doggedly followed guitarist/vocalist Michael McHenry to all of his local gigs, and McHenry let him sit in with the band. “All the cool stuff that I had done in the past shadowed in comparison with me getting to sing with Mike,” he says. Ragsdale soon realized that he was not interested in trying to make it as a performer. “I feel the most creative when I teach,” he says. “I wanted to do for others educationally because I had been blessed with so many great teachers throughout my life.” Unexpectedly, he received an offer to teach at Towson University. During that five-year tenure, he branched out into rock, blues, rap, and hip-hop, playing with the Annapolis-based band The Grilled Lincolns. In 2010, he joined the faculty at Berklee—a period that felt like the pinnacle of his career—but after three years, teaching at the college proper and for several of its summer programs, he felt the pull to come home and create his own program in his own community. Jeremy Ragsdale Voice Studio opened for business at 162 West Street in May 2013, offering private lessons and group classes in contemporary music and vocal technique. The majority of its students are children. “For the first time in Annapolis history, there is a kid’s class that performs Top 40 pop music,” he beams. He likens the studio’s The Lead Singer program to boot-camp singing, where teenagers learn vocal technique and perform four concerts over three months with a live band. Naptown Sings!, a glee club for 7- to 11-year-olds, is also offered. Error: Error validating access token: Session has expired on Saturday, 09-Mar-19 15:57:50 PST. The current time is Tuesday, 23-Apr-19 08:57:26 PDT.